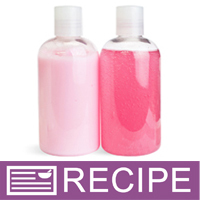 Create pink lotion and shower gel duos with this project. Perfect for girly parties. Ready-made shower gel and lotion are used to create these orange scented pink products allowing you to easily expand your product line. These sets also make wonderful party favors for tweens birthday parties and baby showers. You Save $60.75 by purchasing this kit rather than buying the items separately. "Beautiful color and amazing scent "
COMMENTS: I got this to add to my products and will definitely order it again. Big hit with the customers at my event. COMMENTS: This project was very user friendly, the color is vibrant and the scent is fresh. We went with a very hot pink variant which was totally awesome and a big hit. Loved this! COMMENTS: This kit is big enough to make several different scents if that's what you're inclined to do instead of making the whole big batch with the Satsuma scent (although that is incredible also)! I liked the ease of buying the whole kit to get a feel for making the lotion & the shower gel! It was a lot of fun! "Tried a kit for the first time"
COMMENTS: love this set. used another fragrance though because the citrus smell doesnt really match the pink color, but they turned out great. COMMENTS: When my kit came, I substituted the Strawberry Fragrance for what came with the kit because it seemed to be more agreeable with the color, which I kept the same. The result is marvelous. Strawberry body wash and lotion after the shower left my skin soft and fragrant, not to mention how it made the bathroom smell. Great product and one I think will sell well for me. 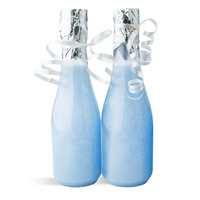 "I replaced fragrance with Acai Berries & Satin but the shower gel looks cloudy and watery. Should I have used a different amount than the recipe? why did this happen?" Staff Answer Every fragrance can act differently in a product and needs to be tested. Some fragrances can cloud. Some fragrances can thin the product while others can actually thicken it. You can add less fragrance or you can also add some Bubble Wash Thickener to the shower gel to thicken it back up. "What is the total weight of the kit?" 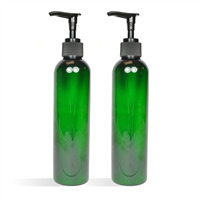 Staff Answer Both products weigh approximately 17 ounces together.